1) What made you set up the charity pageant? 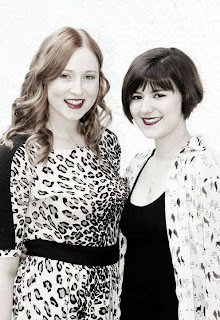 Jodie Eardley and I are organising this charity pageant because we have both been in beauty pageants ourselves over the past couple of years and have had positive experiences through our involvement with them. Personally, I had never done any fundraising prior to taking part in the pageants so my main achievement out of entering them has been the fact that I have done so much fundraising since. There are many things I have done over the past couple of years that I wouldn’t have had the courage to do if I hadn’t have entered my first pageant. We've decided to make a pageant that is all about the fundraising and about the confidence it can give you. Additionally, I want to improve confidence in women and allow them to be themselves by celebrating who they are. 2) What does inner beauty mean to you? There is no limit to beauty. Many people tend to get so consumed with their outer looks that we forget how important beauty on the inside is. I take pride in my appearance but I have come to accept that I am who I am, and there are so many more important things in life. Being the best I can be, and making the people around me happy is what I love. We are all perfect in our own way. 3) Please tell me more about your experience as a beauty queen. It takes a lot of courage to walk around on stage with your head held high and a smile on your face but as long as you enjoy the experience you find it easier. Also, it really helps to show that you’re enjoying yourself. One thing we’re looking for in our contestants is that they are enjoying their time on the stage. 4) What, in your opinion, makes a women beautiful? It may sound cliché, but we are all beautiful in our own way. It is so much more important that you are beautiful on the inside because it shows on the outside. 5) What are you trying to achieve with this pageant? I want to encourage fundraising and beauty within. I love that I am giving other girls the opportunity and encouragement to fundraise and improve their confidence. I hope that they have a wonderful experience. Many pageants require their contestants to have no tattoos, be a certain height, a certain marital status etc. Whereas we are allowing any kind of woman to enter as long as they are enthusiastic about fundraising and have a kind heart. 6) What has the reaction been so far? Are you getting interest? We have advertised through the local paper, Facebook, Twitter and posters. It can be tough to get the word out about events and get people to enter. A common response I noticed from some women was that they felt that they didn’t look like the stereotypical beauty queen or that they lacked the confidence. I have tried to spread the word that this pageant is, particularly, for a woman who may think that about themselves as I want them to gain confidence and enjoy celebrating who they are. 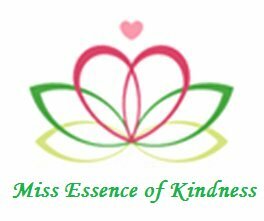 7) What is the future of Miss Essence Of Kindness? And what is the main message? Well, we really hope that this is a success and that in the future we can hold the pageant again so that more women can enjoy the experience we provide them.